Hi beautiful! Spent the whole day filming and editing today. The new video will be up shortly :) Here are a few pictures of the makeup I wore in the video, along with the products used. Totally love amping up my makeup with a hint of color on the lower lash line, makes such a big difference and is pretty much effortless. 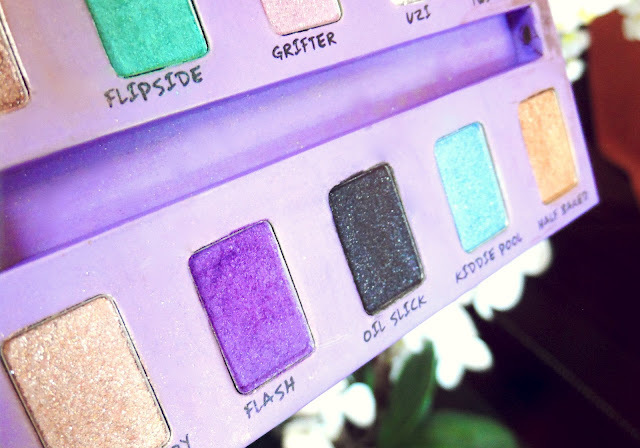 I adore this purple from Urban Decay (the same one I used for my purple eye makeup tutorial that I filmed a few months ago). It's so vibrant! Other pretty colors for the lower lash line are green and turquoise. I always like applying a darker shade to the outer part of the lower lash line to give the color a nice fading gradient and it gives it that smokey look. A good little makeup idea for summer! 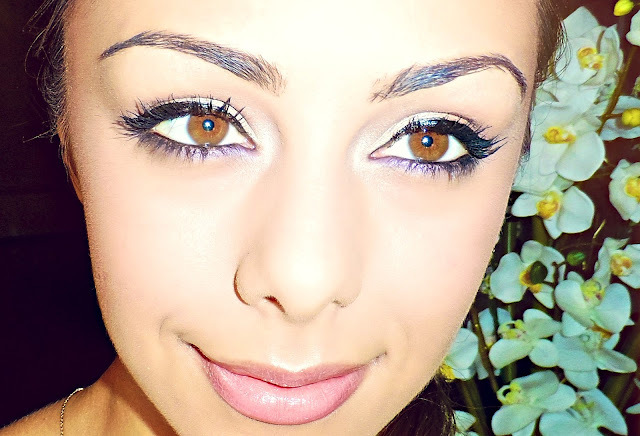 - Sephora Lipgloss "Desert Gold"
i love the way you do your eyeliner, looks flawless!